Coolly elegant, this designer tungsten bracelet with diamonds is instantly memorable. 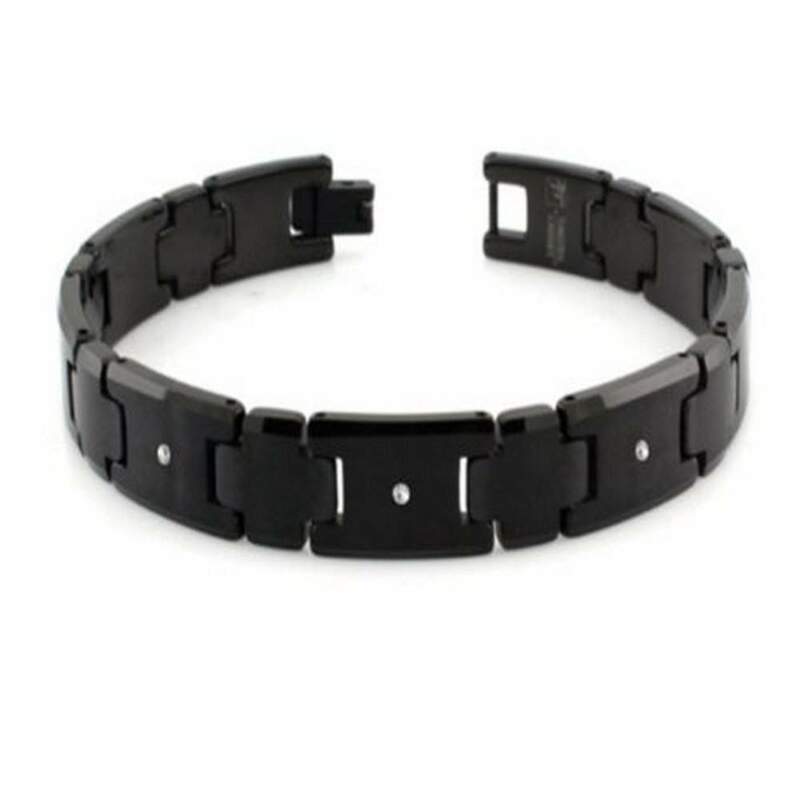 This tungsten carbide armband has black IP (ion plated) finished links with brushed centers and high polished edges, and is finished with a fold-over clasp. 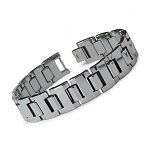 Three white diamonds are perfect contrast accents to this 11mm by 8.5 inch men's tungsten bracelet. Each diamond is 0.01ctw, for a total diamond weight of 0.03ctw.